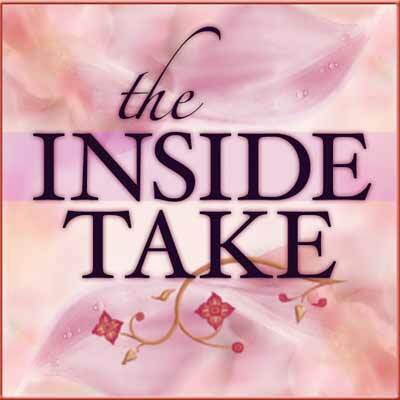 2012 RITA Finalist for Regency Historical Romance. 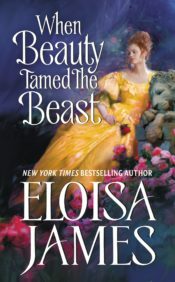 Romance Reviews Today named When Beauty Tamed the Beast the “Best Historical Romance of 2011. When Beauty Tamed the Beast was named one of the “Top 100 Romances of All Time” by All About Romance! Library Journal named Beauty one of the top Ten Best Romances of 2011, calling it a “funny, offbeat, deliciously sensual story that takes the famed fairy tale to a new level with its vivid description and exquisite writing." Enjoy the stepback for When Beauty Tamed the Beast. 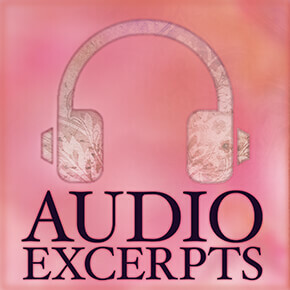 This Audio Excerpt for When Beauty Tamed the Beast, narrated by Susan Duerden, begins where the book begins, with Chapter One. Enjoy! Watch Eloisa's rescue dachshund, Lucy, help promote When Beauty Tamed the Beast. If you’ve never seen the Fox T.V. show, House, M.D., then you are missing a treat. It was while watching Hugh Laurie’s brilliant performance as an irascible, egotistical doctor that I started wondering what it would be like to be a doctor back in the 1800s—with just that same amount of self-assured arrogance. A bit of digging led to a historical doctor who was pleasingly similar. So although my story (and Piers) veered wildly from House, my initial inspiration for Piers came from the television show. 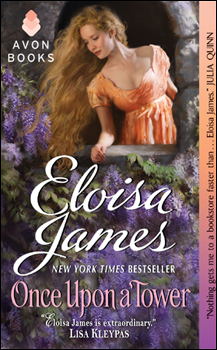 “When Beauty Tamed the Beast has a story that grips you from the first chapter, characters you believe are real people (who are worth caring about), and a beautifully detailed picture of life three centuries ago. Beautiful girls in fairy stories are as common as pebbles on the beach. Magnolia-skinned milkmaids rub shoulders with starry-eyed princesses and, in fact, counting two eyes in each bright-eyed damsel would result in a whole galaxy of twinkling stars. That sparkle makes it all the more sad that real women rarely live up to their fictional counterparts. They have yellowing teeth, or spotty skin. They have the shadow of a mustache, or a nose so big that a mouse could ski down it. Of course there are pretty ones. But even they are prone to all the ills “that flesh is heir to,” as Hamlet had it in a long-ago complaint. In short, it’s a rare woman who actually outshines the sun. Let alone all that business about pearly teeth, the voice of a lark, and a face so beautifully shaped that angels would weep with envy. Linnet Berry Thrynne had all of the above, except perhaps the claim to lark-like melody. Still, her voice was perfectly agreeable, and she had been told that her laughter was like the chiming of golden bells and (though not larks) linnet songs were often mentioned. Without even glancing at the glass, she knew that her hair was shining, her eyes were shining, and her teeth—well, perhaps they weren’t shining, but they were quite white. As of yesterday, she was unmarriageable. The calamity had to do with the nature of kisses, and what kisses are purported to lead to. Though perhaps it’s more accurate to point to the nature of princes. The prince in question was Prince Augustus Frederick, Duke of Sussex. He had kissed Linnet more than once; in fact, he had kissed her a great many times. And he had vehemently declared his love for her, not to mention thrown strawberries at her bedchamber window late one night (which had made an awful mess and had driven the gardener into a fury). The only thing he hadn’t done was offer his hand in marriage. Linnet was not the daughter of an earl; her father was a viscount, and not a very well-connected one at that. Not that she’d heard of the prince’s first marriage. Everyone who had watched her flirting with him in the last few months had unaccountably forgotten to tell her that he was apparently prone to courting those he couldn’t—or shouldn’t—marry. The prince had bowed sharply, turned, and abruptly left the ballroom, withdrawing to Windsor Castle—or wherever it was that rats went when the ship sank. This had left Linnet alone but for her dour chaperone and a ballroom of gentlepersons, a circumstance that led her to quickly realize that a great many maidens and matrons in London were eagerly—if not gleefully—certain that she was a hussy of the first degree. Within moments of the prince’s retreat, not a soul would meet her eyes; she was faced with a sea of turned backs. The sound of upper-class tittering spread all around her like the hissing of a gaggle of geese preparing to fly north. Though, of course, it was she who had to fly—north, south, it didn’t matter as long as she fled the scene of her disgrace. The unfair thing was that she wasn’t a hussy. Well, not more than any girl bowled over by a prince. She had enjoyed snaring the greatest prize of them all, the blond and winsome prince. But she hadn’t had any real hope that he would marry her. And she certainly would not have given her virginity to a prince without having a ring on her finger and the approval of the king. Still, she had considered Augustus a friend, which made it all the more painful when he didn’t pay her a call the morning following her humiliation. Augustus wasn’t the only one. In fact, Linnet found herself staring out of a front window of her townhouse, the better to convince herself that no one was coming to call. No one. Not a soul. Ever since she’d debuted a few months earlier, her front door had been the portal to the Golden Fleece, i.e., her dowered, delectable self. Young men pranced and trotted and strolled up that path, leaving cards and flowers and gifts of all kinds. Even the prince had lowered himself to make four morning calls, an unheard-of compliment. But now…that path was nothing more than a row of flagstones shining in the sunlight. “I simply don’t believe this has come out of nothing!” her father said now, from somewhere behind her. “Kissing—pah! Kisses are nothing. What I want to know is why it is being reliably reported that you are carrying a child. His child!” Viscount Sundon came, stood at her shoulder, and looked with her at the empty street. “It made me ill,” Linnet told him. “I couldn’t even make it to the ladies’ retiring chamber. I threw up in a potted orange tree.” She shuddered a little at the mere memory. “My ball gown was not revealing,” Linnet protested, but her father wasn’t listening. So Linnet put on the ball gown. It was designed to fit tightly over her breasts. Just below, the skirts pulled back to reveal an under-dress of charming Belgium lace. Then that skirt pulled back, showing a third layer, made from white silk. The design looked exquisite in the sketchbook at Madame Desmartins’s shop. And when Linnet had put it on last night, she had thought the effect lovely. Her maid Eliza didn’t venture an opinion, but her chaperone showed no such reticence. 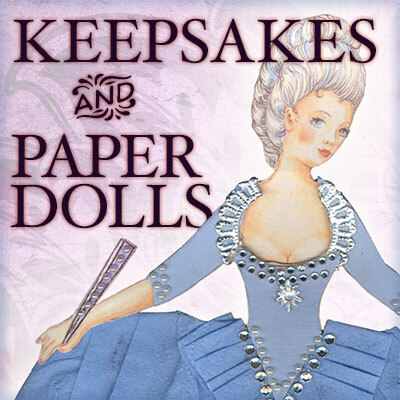 “In my opinion, it’s not the petticoats so much as your bosom,” Mrs. Hutchins stated. Her voice was faintly accusing, as if Linnet were responsible for her cleavage. Her chaperone had the face of a gargoyle, to Linnet’s mind. She made one think of the medieval church in all its stony religious fervor. Which was why the viscount had hired her, of course. Linnet turned back to the mirror. The gown did have a low neckline, which frankly she had considered to be a good thing, given how many young men seemed unable to drag their eyes above her chin. It kept them occupied and gave Linnet license to daydream about being somewhere other than a ballroom. “It wouldn’t have been happy,” Linnet pointed out. “Not in your circumstances.” Mrs. Hutchins cleared her throat. She had the most irritating way of clearing her throat that Linnet had ever heard. It meant, Linnet had learned over the last few months, that she was about to say something unpleasant. Linnet didn’t care to excuse it, so she ignored her. People should warn one of the danger. A lady should always look at herself from the side while dressing, or she might discover that all of London suddenly believed her to be carrying a child. “It makes you look like a light frigate,” she observed. But Mrs. Hutchins pressed her lips together and left the room. When Beauty Tamed the Beast is Book 2 in the Fairy Tales series.